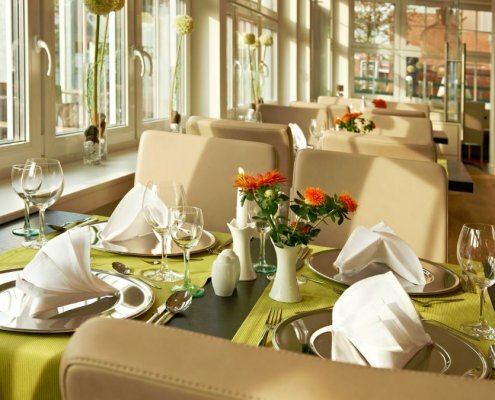 Logierhus Langeoog offers stylish rooms and top organisation. 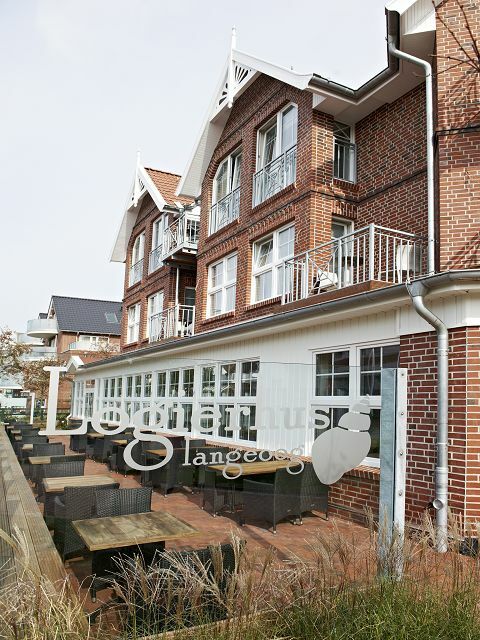 Use the enchanting ambience of Logierhus Langeoog for your events. We will gladly offer more advice. Celebrate your personal parties on the island. Logierhus Langeoog offers the perfect framework. We organise and offer rooms for memorable celebrations with up to 80 persons. Logierhus Langeoog offers two exclusive meeting suites and comfortable meeting rooms for up to 30 persons for your meetings and events. We offer rooms for intense work in a pleasant atmosphere with state-of-the-art meeting technology and event organisation at the highest level. We have a special offer of nature trips and island tours for your framework programme. Please consider additional time for printing glossy pictures. Seating plans Upon your request and our space capacities, we are happy to lay out seating plans for you. Technical equipment Our seminar rooms are equipped with standard equipment, containing beamer, flipchart and meeting pads with pen. 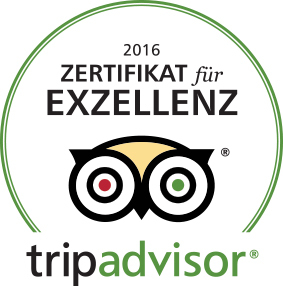 Music / Entertainment After you have made a binding booking with us, we are happy to assist you with your choice of music groups, carriage rides, Wadden Sea tour guides or other entertainments you may wish. Professional childcare We are happy to arrange for different nannies for you. Canapés of baguette with different toppings: smoked salmon and horseradish, local raw ham specialties, smoked fish from our own smokehouse, different types of cheese, salami specialties, tomatoes and mozzarella. Take a vitamin break with fresh and seasonal fruits and freshly squeezed juice! Take a coffee break with coffee from our own coffee roastery and enjoy cakes and sweet little croissants from our own bakery. Other drinks will be charged extra. We are happy to send you our current food and drinks menu upon request. Prices are subject to change. For conferences, our room rent is €39.00 per person and day, including a short break with little sandwiches or small pastries, coffees and tea. 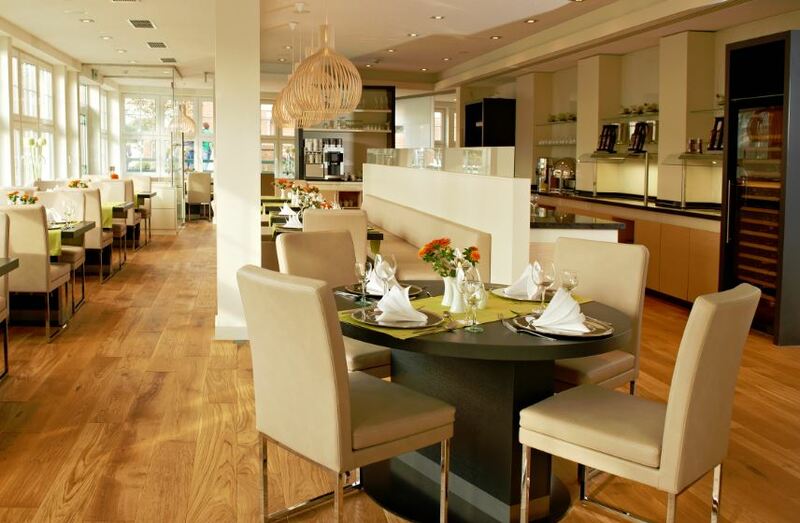 At banquets where fixed menus or buffets have been ordered, we do not charge any room rent. We offer you a non-binding booking option of one to two weeks. Should you then wish to make the booking, you will enter into a binding contract with the hotel, which is to be signed by both parties. Please note that reservations made by e–mail require one day in advance. All prices listed in the contract as well as in the general contractual terms and conditions are final prices. In these final prices German statutory VAT and possible tips for service personnel are already included. If there are reasonable grounds to assume that the agreement poses a threat to the safety or to the reputation of the hotel or the hotel guests, as well as in the event of force majeure, the Logierhus Langeoog GmbH is entitled to withdraw from the contract without notice and without compensation of damages. For safety reasons, the flying of so called sky lanterns is generally not permitted. If the client is not the event organiser at the same time, he will be liable as joint and several debtor together with the event organiser. If not otherwise agreed on, additional services such as performances of artists, special prints on menu cards or floral decorations will be charged extra by the restaurant. Fees for music or artists are either to be billed directly to the concerned musicians or artists by the event organiser, or they are to be provided in advance to the restaurant. Possible occurring GEMA fees are to be paid by the event organiser (at public events). Bringing along your own food and drinks is generally not permitted. Exceptions can be made for cakes and tarts (no products with raw eggs such as tiramisu or similar) Additional charges per person (Tellergeld): €3.00. Fees for bringing your own bottle of wine (0.75l) €15.00. Fees for bringing your own bottle of sparkling (0.75l) €20.00. The expected number of guests is to be communicated to the hotel 10 days at the latest prior to the event. 2 days at the latest prior to the event, the definite and binding minimum number of guests is to be communicated to the hotel. The number of guests forms the base of the invoice. Menus or buffets that have been ordered but are not collected will be fully charged. Orders for additional or late registered persons will be charged extra. With the publication of this price list, all previously made price lists will lose their validity. All prices are service charged included, i.e. German statutory VAT and tips for service personnel. Invoices can be paid either directly or on the following day, without deduction, in cash or by debit card. If you wish to have an invoice sent to you, we may charge a deposit in the amount of the costs of the pre-ordered meals.